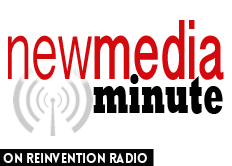 Where is New Media Headed? Steve, Richard, Wade, along with New Media Summit Icon of Influence Brad Costanzo discuss future casting — where is new media headed? The tools will change but the concept won’t. It’s ubiquitous… it’s no longer new… it’s simply media. Podcasts are hyper targeted. Building influence creates opportunity.